Louis Ballast, who operated the Humpty Dumpty Barrel Drive-In in Denver, was the first person to trademark the cheeseburger. The first permanent structure in Denver was not a bank, hospital or even a house—it was a saloon. The National Western Stock Show, held in Denver, is the largest stock show in the world. The National Western Rodeo is also one of the biggest rodeos on earth. 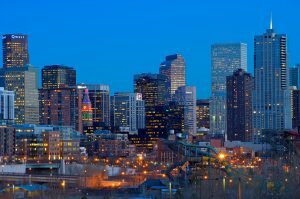 Denver collects more money for the arts per capita than any other US city. Elvis Presley once flew in his private jet from Memphis to Denver’s Stapleton Airport just for a sandwich. He ordered 22 Fool’s Gold Loafs, a sandwich containing a jar of peanut butter, a jar of grape jelly and one pound of bacon, from the Colorado Gold Mine Company Steakhouse for him and his friends. They dined on the sandwiches with champagne and then returned home.